Alicia is a native of Aledo and a graduate of the University of Texas at Arlington with a degree in Public Relations. Alicia began her real estate career in 2003, and has never looked back. As a second-generation real estate professional, she is anxious to share her experience and knowledge of real estate with her potential clients. 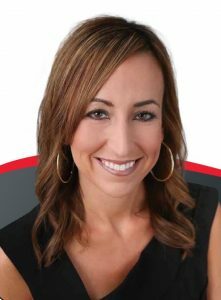 Alicia is a well-known professional who understands that superior client service and dedication are smart business.”My goal is to establish myself as a REALTOR you look to and trust for all of your real estate needs. I see myself not as a salesperson but as an advisor, counselor, and resource for information & knowledge to guide you in your real estate endeavors.”Alicia is a member of the National Association of Realtors, Greater Fort Worth Board of Realtors, East Parker County Chamber of Commerce, Trinity Bible Church and Zeta Tau Alpha.